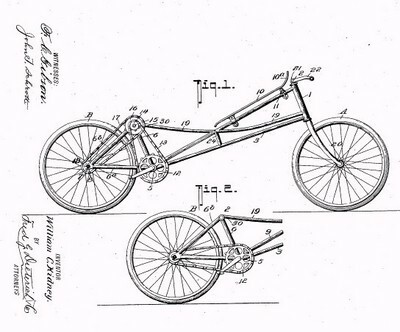 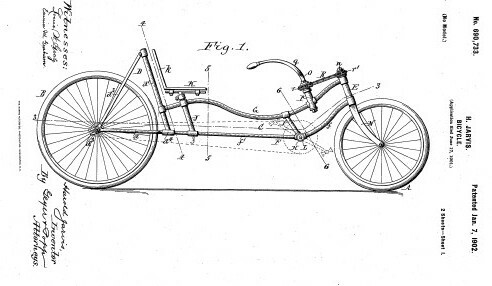 Patent Pending Blog - Patents and the History of Technology: The First Recumbent Bike? 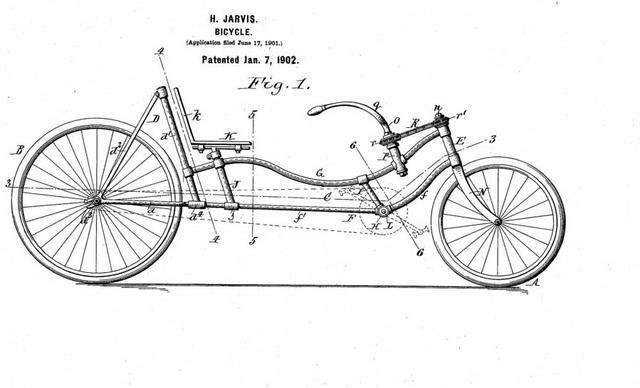 I don't know if this was the first, but it is certainly an early recumbent bicycle, to J. Jarvis, 1902. 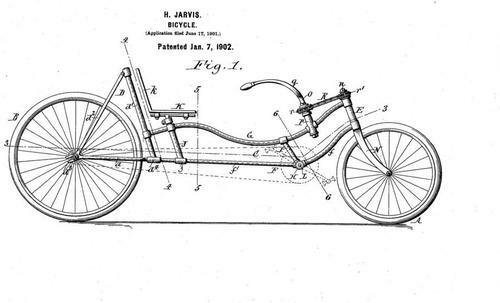 Another early one is to W.C. Kidney, 1907.